Protect your financial interests! Download this easy-to-understand guide to the most current New Jersey laws regarding alimony. Written by esteemed, experienced Cherry Hill, NJ family lawyer Ronald Graziano, this guide will explain all the new alimony guidelines and answer your questions regarding spousal support in New Jersey. 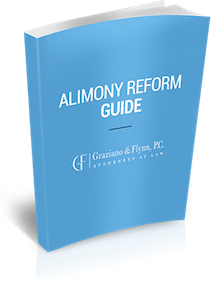 In this free Guide to NJ's Alimony Reform, knowledgeable, battle-tested divorce lawyer Ron Graziano explains the ins and outs of the new alimony laws in New Jersey. Does permanent or forever alimony still exist? How does the judge decide how much alimony I have to pay? How much alimony or spousal support are you entitled to receive? How do courts view the need for separate residences after divorce? I’m receiving alimony. What happens if I get remarried? Think You Know Everything About Alimony in New Jersey? Think Again! After reading Ron Graziano’s Guide to NJ Alimony Reform, you’ll know how New Jersey family courts may weigh the following factors in setting or modifying alimony orders: retirement, remarriage, emergency medical issues and cohabitation. 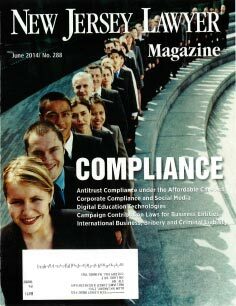 THE GUIDE TO NJ ALIMONY REFORM REQUEST YOUR COPY TODAY! Contact Information: Name: (Required) Email: (Required) Would you like our alimony attorney to call you? Yes, please No, thank you Enter text from the image above. Please enter the text from the image on the left.